Poetry has its darker side to say the least. After all, poetry is about emotion and we know our emotional house is a briar patch even Brer Rabbit would avoid. Still, as thorny as it may be, it is a rich inspiration to the poet. For it is upon the highest peaks or in the lowest valleys of emotion a poet’s best work pours out. For me, I see the darkness of the valleys as a vital element in the value placed upon the brightness of the peaks. Without such contrast, would we hold the highs with such esteem? Moreover, poetry is the vehicle I use to excise the bitter malaise my mind retreats to now and then. Poetry keeps me yoked to normal; otherwise, I truly would be a madman. To say expressing darker emotions helps me is not exactly right but it is on point. Expressing them is a relief valve, yoking me to normal. The real questions, for me, is not if I write them, but if I dare share them with the world. I mean who among us wishes to be so vulnerable? Answer, I must share them. I must cast them out, otherwise they never leave me and writing about them serves no point. It is my hope that, for some, reading them does the same thing. It gives a release. Perhaps someone is helped knowing others have such feelings too. I wish I could say that was my motive and I was not so selfish but darker poems are, in the end, honest. It would not do to wrap them with dishonest motives. 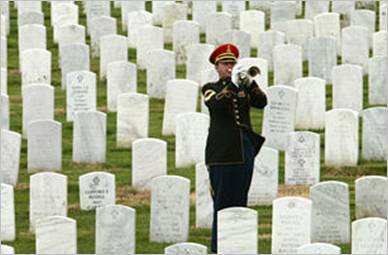 I’ve written about Memorial Day before but it is a subject dear to my heart having learned while I served in the military just what sacrifice truly means. Oddly, this important day’s history is uncertain and it did not become a national day of remembrance until 1966. While other countries certainly honor their men and women that die in combat, we in the United States have a civic and moral duty to recognize the sacrifice that made us who we are. No one knows just how Memorial Day started. There are many stories and over a dozen localities lay claim to being its birthplace. Here is what we do know: Towards the end of the US Civil War, around 1864, organized women’s groups in the South (the Confederate side) began decorating the graves of soldiers killed in the war. Soon, the practice migrated north (the Union side) and the US Army officially recognized the practice in 1867 with General John Logan’s General Order # 11[i]. New York was the first state to officially recognize a Memorial Day with virtually every other state following suit, but Memorial Day did not become a federally recognized holiday until 1967 when President Lyndon Johnson signed legislation into law. Sadly, it took the federal government 99 years to get with the program. If it took that long to establish something like honoring our war dead, is it any wonder why they can’t get anything done on difficult issues? as a three-day weekend is, it makes the day more about romping on the beach rather than honoring our lost heroes. I guess in the United States we have to invent a reason to take a holiday, I prefer the way the United Kingdom handles it by declaring a “bank holiday” and everyone just takes the day off. That way, we keep our special days special and get a break from work too. Ok, so now you know just a bit about the history of the day. It is the history that inspired me to write my tribute poem to Memorial Day and the men and women it honors. Regardless of what you do tomorrow, take a few moments and give thanks to your fellow citizens that gave everything for you to have such a day. Remember what this day’s for. binding this nation as one. They gave to us and gave all. and know we hold to the gift. forget that not, not this day! [ii] “Uniform Monday Holiday Act.” Wikipedia. Wikimedia Foundation, 18 May 2012. Web. 27 May 2012. <http://en.wikipedia.org/wiki/Uniform_Monday_Holiday_Act>. Poems come in all shapes and sizes and most certainly cover every imaginable topic. 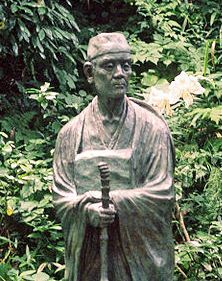 There are the lengthy epic poems like Milton’s Paradise Lost, decreasing in size like Rumi’s quatrains, until we arrive at the short haiku masters like Bashō. The long epic poems read like novels. They have room for plots and changes in mood and character. Length dictates shorter works to be more singularly focused. In fact, singularity is what makes them work. You might think a short poem takes but a moment to compose. Sometimes they do, but more often short poems take as much, if not more, time to construct as poems with lengthier word heft. There are styles, like the Shakespearian Sonnet, that dictate length, but many works of metered and free verse employ the brevity short poems. I consider a short poem to be any that fits on a single page, and that means one column. We all know there are people out there that can cram War and Peace onto a grain of rice, I mean reading poetry under normal conditions. Others arbitrarily define short poems as having six quatrains of less, or twenty-four lines. With my definition in mind, most poems are short poems. This poem obviously focuses on hope but expands out to show the impact hope has as well as the effect the world has upon hope. With only eighty-two words, Emily explains one of life’s trickier subjects to grasp. Yes, there is much more to hope than any one poem can encompass, but this is a complete view of one way to see it. It is powerful and has a depth that goes beyond its few lines. At the same time is shows strength, it also shows frailty. That juxtaposition is common in shorter poems. Not all short poems use comparison directly. Here is a poem of mine that uses both simile and metaphor to explain what I mean by beauty. It is markedly different from Emily’s example, and I do not mean to suggest I am as fine a poet as she is by the comparison. While she employs direct metaphors (“Hope” is a thing with feathers) to open her poem, I use the poem as a whole to compare beauty to grace. What the poems have in common is to explain a single thought. To really get haiku, the reader must take each line separately. Read them with a pause, for a thought, and then read the next line. Look at it this way, if we read “old pond a frog leaps in water’s sound, it is sort of flat. If we read it with pause and use “in” as the kireji, it takes on depth: “old pond… | a frog leaps in | in water’s sound.” It causes us to consider the thought of each line as well as the overall thought of the poem. Read properly, a few little words can be very powerful. It would have to be considered “westernized” as I did not employ a kireji directly but I do tie the lines together with the juxtaposition of “weep” and “cries.” Still, it holds a powerful thought. If you have ever witnessed a military funeral with full honors, this haiku will stir your soul, if not, it will give you an idea of it. In the end, short poems are like a punch to the gut, they knock the wind out of you. Each line has to get right down to business and move the poem along. Part of the appeal is the space this leaves for the reader to fill in the gaps with their own personal feeling and experiences. Maybe that is the appeal of short poems in the first place. I will end with a free verse example that speaks for itself and has no need for an explanation as to my meaning. It truly illustrates the emotional power a short poem can have. Even poet has themes they return to often. For me, it is nature, in generally and the ocean and skies specifically. It is the latter I wish to discuss here, the heavens. Since our ancestors first looked up in amazement as the little lights painted against the night’s black, out nightly view has captivated us. Science has removed some of the mystical aspects from it but replaced it with questions even more profound, like whom we really are, and what is our role in our vast universe. Of course, there are very famous poems regarding the night sky, one of the most famous by English poet Jane Taylor. The Star first appeared the book Rhymes for the Nursery she co-authored with her sister Ann in 1806; I could only find the first US printing[i]. Now, at this point you might be saying to yourself I’ve never heard of a poem called “The Star,” and you would be wrong, you just know it by its informal name. I will leave it for you to discover as you read. Lights the traveler[sic] in the dark. The rhymed couplets and evenly metered lines give the poem its whimsically singing quality as you read it. The choice of meter is not serendipitous; the poet bases it on how they wish the poem to feel and pick the appropriate meter to achieve that feeling. and waits for the moon’s reply. a bright dot of cottoned grain. armor for our coming day. and winks as she fades away. ’tis a better path they show. moon slice awaits impish elf. I’m thankful that we have stars that seem unchanging. 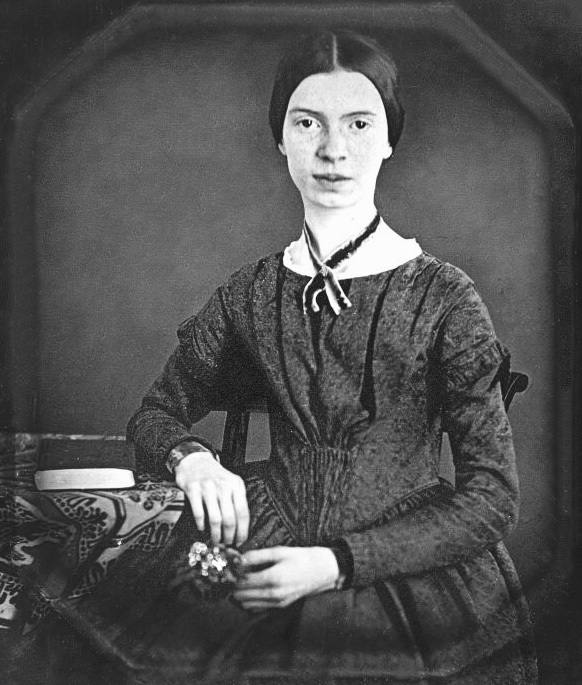 It gives me a since of being connected to know the Jane may have been looking at the same stars as me, some 200 years later, as we both crafted our poems. That is one of the most intriguing points about using the night sky as your inspiration, it is one of the few unchanging things we have. [i] Taylor, Ann, and Jane Taylor. Rhymes for the Nursery. Utica [N.Y.: Printed and Sold by Camp, Merrell & Camp, 1815. Print. Poetry can serve many purposes with the emotions and meanings it conveys. Some are sad, while others are happy. Some take us deep into thought while others make us smile at some little point we’ve overlooked. The point is poetry has a story to tell. It is the poet’s task to tell the story in a way the reader understands. This is where metaphor and simile lend a hand. Though often confused, the two are quite different. For example, to explain it with a metaphor, one might say, “simile is metaphor with an attitude,” while stating it as a simile, it might read, “Metaphor is like simile.” In the first case, it states the two things are the same, in a point of view, in the second case, it states they are similar in general. point. Sometimes, such exaggeration gets in the way of understanding. It makes no sense to say, “He found his way through the maze, after all, all mice are elephants.” Showing the elephants and mice are the same is just too large a leap. This is where simile takes over. Somehow, it just does not have the same impact. In this case, to understand it, we need to know actors enter and leave the stage. Shakespeare’s metaphor shows us, without knowing anything about actors or stages. It is up to the poet to know when to use which form of allegory, it is up the reader to judge the poet’s success. In poetry, similes are somewhat limited to a direct statement in a stanza within a line or two. Metaphors can do the same but the poem as a whole can act as a metaphor. In my poem Kite, I use metaphors throughout to describe the attachments in a relationship but the poem as a whole serves as a metaphor on relationships. off I go! I take to flight. looking back, it leads to you. still, the twine holds me to you. knowing that you set my course. and then strain against your grasp. and they sing upon the twine. leaving you there, holding twine. and I’m lost within the sky. and I’m numb without it there. the folly of flying kites. The silken twine is the connection between two people in a relationship. The kite serves as one person and the kite flyer serves as the other. Wind acts as the turmoil couples encounter that pulls on the kite string. Then the whole of kite flying serves as the whole of a failed relationship. Unlike Shakespeare, I did not explain my metaphoric connections in the poem, as most people will see the links to their own relationships. That is the great thing about being a poet; we get to make the choice. Similes are more for simple comparisons. It is an “A is like B” sort of thing. For example, in my poem June Bug, I compare bugs getting too close to a light to Icarus. a porch light shines alone. some breath of wind has blown. that moans its off-key sound. that charge this light they’ve found. then escape away with fright. as they dart and flit around. like Icarus they find ground. as they swarm and dance in air. inspired by a porch light’s glare. Of course, you need to know the mythical story of Icarus for the reference to work, so again, simile counts on prior knowledge, as explaining that myth is a poem all unto itself. Did you see the direct metaphor I used? There is one, but in this case, it is what I call a moronic metaphor as it directly disputes itself. That is a hint by the way. So both metaphor and simile have a fundamental role in poetry. They are tools in the poet’s toolbox. The poet needs to understand when to use which one; the reader needs to know how to connect the dots. 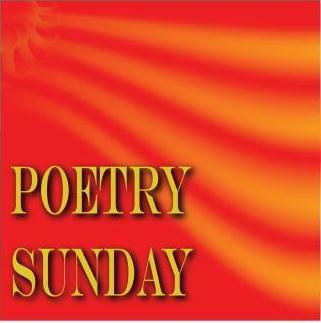 They both add depth to poetry specifically and all forms of communication in general. Comparison is the way we understand things and that is exactly what they do, they compare. On a side note: Kite is an example of blank verse. Blank verse will be the topic of next week’s post. If you are not familiar with blank verse, read it over again knowing there is something more to it that free verse. See if you pick up its natural cadence. [i] Shakespeare, William. “As You Like It, Act 2, Scene 7.” The Complete Works of William Shakespeare. The Tech, MIT. Web. 29 Apr. 2012. <http://shakespeare.mit.edu/asyoulikeit/full.html>.